About one year after the first kilometres of submarine cables have been laid in the south Norwegian Vollesfjord, the cable work has now also started on the German NordLink side. 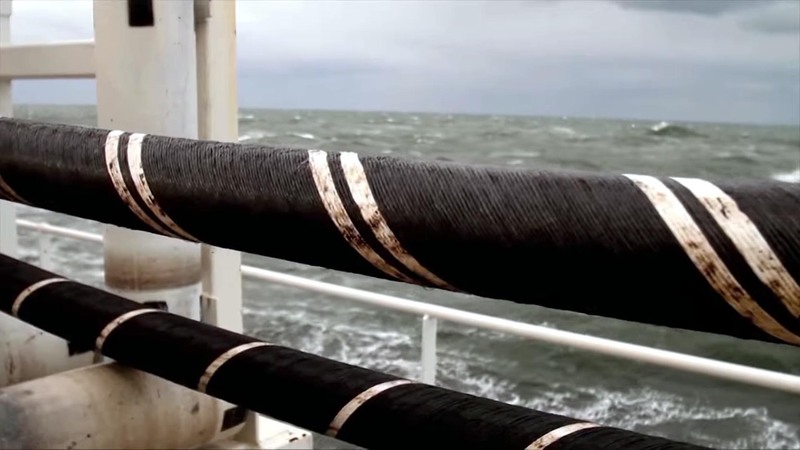 Over the next few weeks, TSCNET shareholder TenneT, the Dutch-German transmission system operator (TSO), will lay 99km of cable into the Wadden Sea floor. This first section lies between the Büsum dike in the German state of Schleswig-Holstein and the southwest of the island of Sylt. In 2019, another 55km will be laid in the German offshore area up to the border of Danish territorial waters. 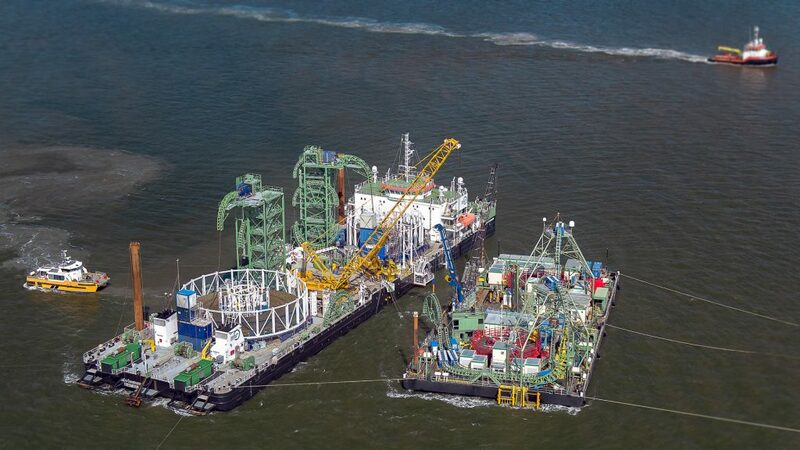 There, the cable end will then be connected to the 228km long cable section to be laid in the Danish North Sea area. TenneT’s submarine cable work is carried out in close coordination with nature conservation authorities. The TSO implements the respective requirements of the competent federal and regional agencies, ministries and administrations strictly to ensure that the Wadden Sea National Park is treated as considerately as possible. 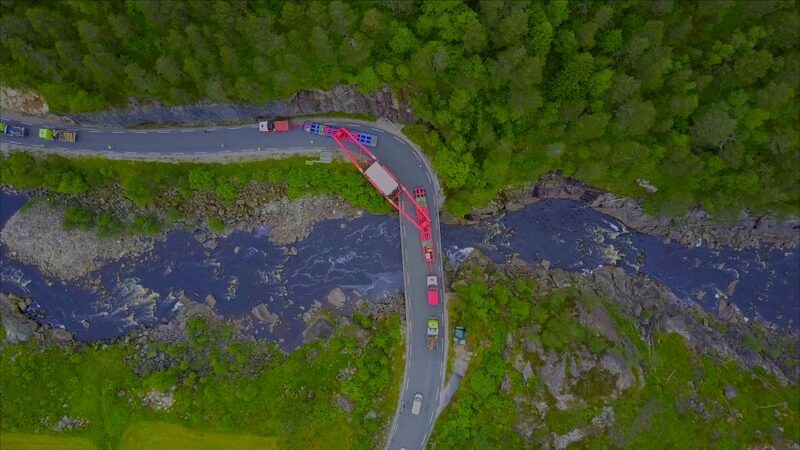 The Nordlink high voltage DC interconnector between Germany and Norway will have a capacity of 1,400MW and a total length of 623km. By coupling different renewable energies and storage forms ‒ Norwegian hydropower plants and wind and solar farms from Germany ‒ NordLink is a “green link” in the truest sense of the word. TenneT cooperates in this European Project of Common Interest (PCI) with the Norwegian TSO Statnet. The laying of sea cables is accompanied by work on the mainland to connect the respective converter stations. The construction of an overhead line on the Norwegian side is expected to be completed in 2019, and on the German mainland, NordLink will be laid as an underground cable between the Büsum dike and the Wilster converter station starting in 2019. 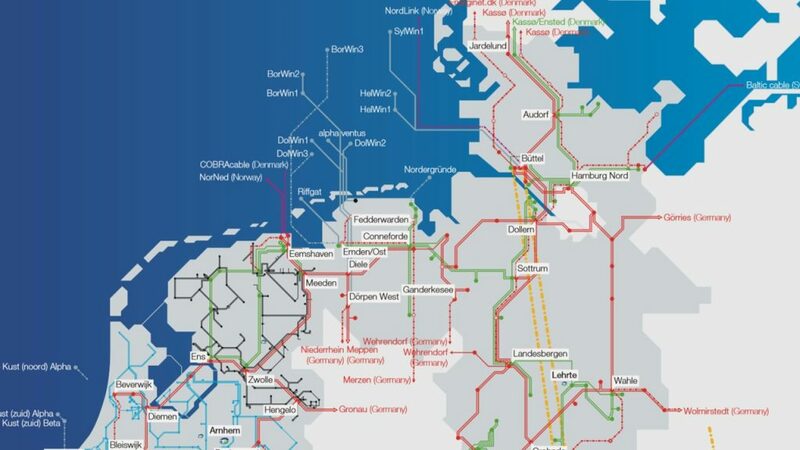 Completion of the entire NordLink interconnector is scheduled for 2020. The Nordlink interconnector between Germany and Norway is a lighthouse project for the European market integration and energy transition. By coupling Norwegian hydropower capacities with renewable energy from Germany, the high voltage DC line with a capacity of 1,400MW and a total length of 624km (516km of which are submarine cables) is in the truest sense of the word a “green link”. The two transmission system operators (TSOs) involved in the European Project of Common Interest (PCI) are TSCNET shareholder TenneT, the Dutch-German TSO, and its Norwegian equivalent, Statnett. The European Commission (EC) as well as the relevant European institutions are highly aware of NordLink’s significance for the future energy infrastructure of the continent. The European Investment Bank (EIB) is funding NordLink since last year and has now reaffirmed its commitment to the project by closing a single investor tap of TenneT’s 2017 hybrid bond. The EIB has purchased €100m hybrid securities. This transaction ‒ incidentally the bank’s first ever stake in a market hybrid bond issuance ‒ is backed under the European Fund for Strategic Investments (EFSI). During seven nights between 7 and 23 June 2018, TSCNET shareholder TenneT, the Dutch-German transmission system operator (TSO), expects the supply of altogether seven 225-tonne transformers to the NordLink converter station near Wilster in the southwest of the German state of Schleswig-Holstein. NordLink is the first direct interconnector between Germany and Norway. The high voltage DC line with a capacity of 1,400MW and a total length of 623km ‒ including 516km submarine cable ‒ enables the exchange of Norwegian hydropower and German wind energy. The transformers are delivered by ship from their Swedish manufacturing site to Brunsbüttel port on the Elbe estuary. 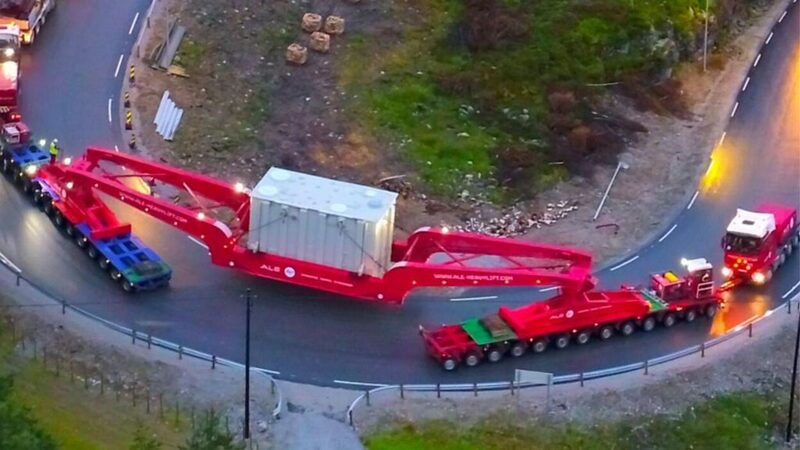 The last 16.5km to the converter station will be carried out with a heavy-duty road train with 36 axes, a length of almost 76m, and a total weight of 417 tonnes. Nordlink, a green link in the truest sense of the word, is a lighthouse project for the European market integration and energy transition. The Wilster converter station has been under construction since September 2016, and the laying of the cables has begun in 2017. TenneT and the Norwegian project partner Statnett anticipate the completion of NordLink in 2020. With the Integrated Annual Report 2017 and the Green Finance Report 2017, TSCNET shareholder TenneT, the Dutch-German transmission system operator (TSO), yet again presents a combination of healthy financial results (22 percent boost in revenue, experiencing a jump from €3,227 million to €3,948 million) with an enduring commitment to the sustainable energy future and impressive investments (€736 million invested in the Netherlands, and €1,032 million in Germany) in the transmission system of the future. The company’s strategy for increasing the grid resilience while maintaining high supply security includes extension of the TSO’s onshore and offshore infrastructure, the development of a more flexible electricity system, and the introduction of intelligent software based on blockchain technology. Prominent examples of TenneT’s forward-thinking actions in 2017 are two pilot projects in the Netherlands and Germany, which enable consumers to take part in the electricity market, as well as offshore systems for connecting wind farms to the onshore grid, or interconnectors such as the Dutch-Danish COBRACable and NordLink between Germany and Norway. The conception of an artificial island in the North Sea, the North Sea Wind Power Hub, to bundle wind power capacities and, moreover, to connect national markets, is perhaps TenneT’s most outstanding future vison in this regard. 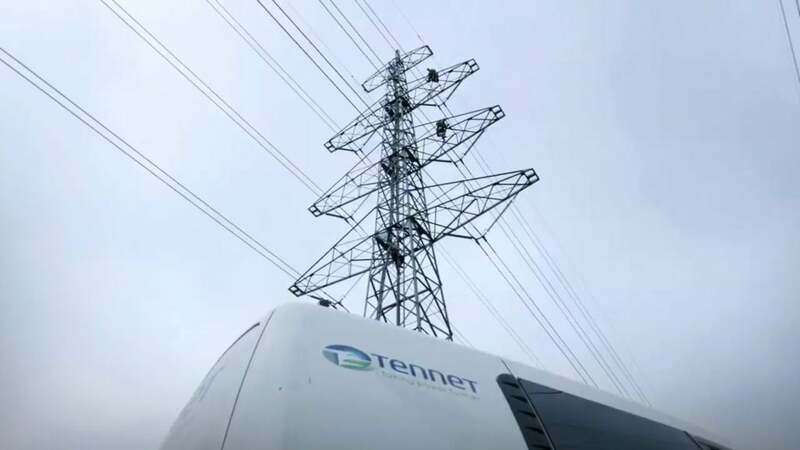 In 2017, TenneT was able to enlarge the Power Hub Consortium promisingly. Comprising a total length of 623 kilometres of cables, the NordLink interconnector between Germany and Norway will be one of the longest systems for high voltage DC transmission in the world. NordLink, which is jointly carried out by TSC member TenneT, the Dutch-German transmission system operator (TSO), Norwegian TSO Statnett, and the German promotional bank KfW, couples hydropower capacities in Norway with German wind and solar energy. In terms of environmental performance, the ambitious project goes far beyond mere market coupling, but is truly a “green link”. The laying of the NordLink submarine cables has already begun this summer on the Norwegian side, accompanied by further construction works. On the German side, the first cables will be laid in 2018. 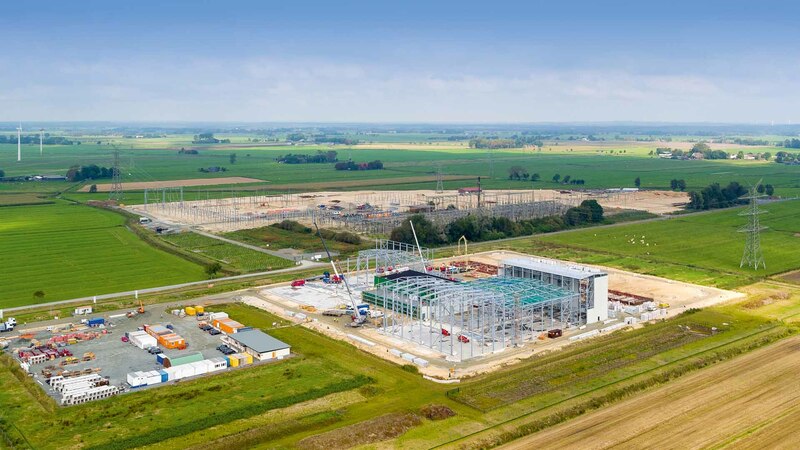 With the roofing ceremony for the NordLink converter building on 6 October at Wilster substation in the southwest of the German state of Schleswig-Holstein, “NordLink is now becoming visible”, as Lex Hartman, member of TenneT’s executive board, puts it. 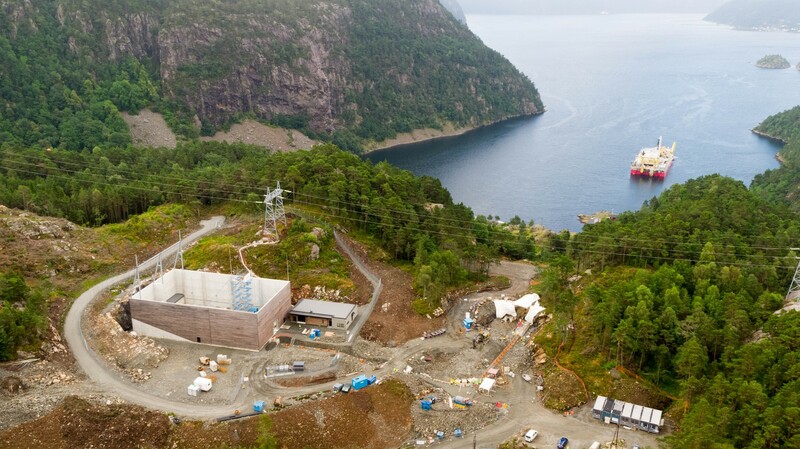 In the two converter stations – the counterpart of Wilster in the southern Norwegian town of Tonstad is also under construction – the transmitted DC is converted into AC for the feed-in into the respective national transmission grids. In every sense of the two words, the NordLink submarine cable is a “green link”. 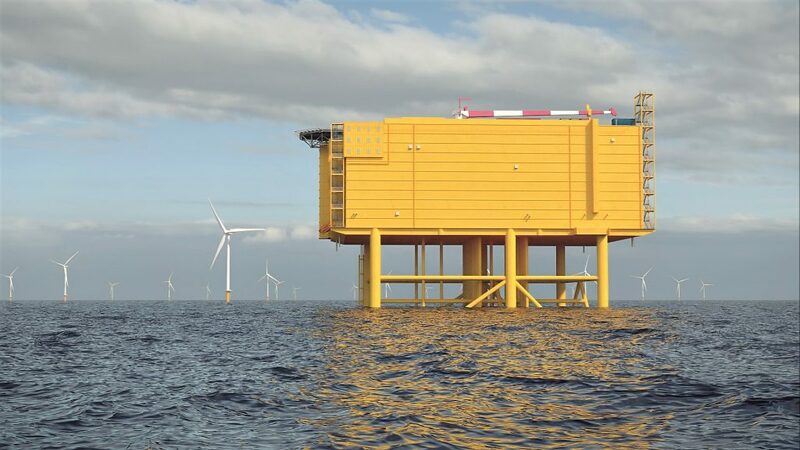 The first interconnection between Germany and Norway across the North Sea is destined to couple Norwegian hydropower capacities with German wind and solar energy. The European “Project of Common Interest” – a joint venture of TSC member TenneT, the Dutch-German transmission system operator (TSO), Norwegian TSO Statnett, and the German promotional bank KfW – is as path-breaking for the European market integration as it is for the energy transition. The laying of the NordLink cable started on August 1 in the south Norwegian Vollesfjord. From here, a cable lay vessel heads for the Danish territorial waters of the North Sea, followed by another special vessel that buries the cable in the seabed. In 2018, the cable laying will continue to the border of German territorial waters, where the submarine cable shall meet its counterpart, the laying of which began at the coast near Büsum in the German federal state of Schleswig-Holstein. The cable ends will be connected in the open sea, resulting in one of the world’s longest systems for high voltage DC transmission – with a total length of 623 kilometres (of which 516 kilometres are submarine cables) and a capacity of 1,400MW. Lex Hartman, member of TenneT’s executive board, considers Norwegian hydropower and German wind and solar power as “two perfectly complementary systems for the exchange of renewable energy”. Mr Hartmann is pleased to report, that the work on NordLink, which is expected to be completed in 2020, is right on schedule. “On the German side, we are already installing the ducts for the cable under the land protection dike near Büsum.” And also other important steps have already been taken, since on both ends of NordLink, the German Wilster and the Norwegian Tonstad, the necessary converter stations are currently under construction. A whole lot of aspects from the half-year report of TSC member Tennet are worth mentioning, but what might be considered as especially valuable and forward-thinking is the continuing effort of the Dutch-German transmission system operator (TSO) in promoting the European energy collaboration and market integration. Tennet complements these efforts with the development of digital solutions for the renewable’s integration to facilitate the energy transition. Mel Kroon, CEO at TenneT, mentions two essential catalysts of a sustainable European energy future: “Further integration of the North-West European electricity markets” to improve green energy management, as well as “smart, innovative systems” to match future energy demand and supply. Among TenneT’s most prominent international projects are the so called Power Link Island, a North Sea Wind Power Hub to be developed jointly with Danish TSO Energinet, the COBRAcable between the Netherlands and Denmark, or the NordLink cable to connect the Norwegian and German electricity markets. TenneT’s key initiative in terms of smart software solutions is the research on block chain technology fostering local, flexible electricity generation. The company’s European commitment is emphasised by the opening of a representative office in Brussels in June and the appointment of Ben Voorhorst, Chief Operating Officer of TenneT, as President of the European Network of Transmission System Operators for Electricity (ENTSO-E) in March. 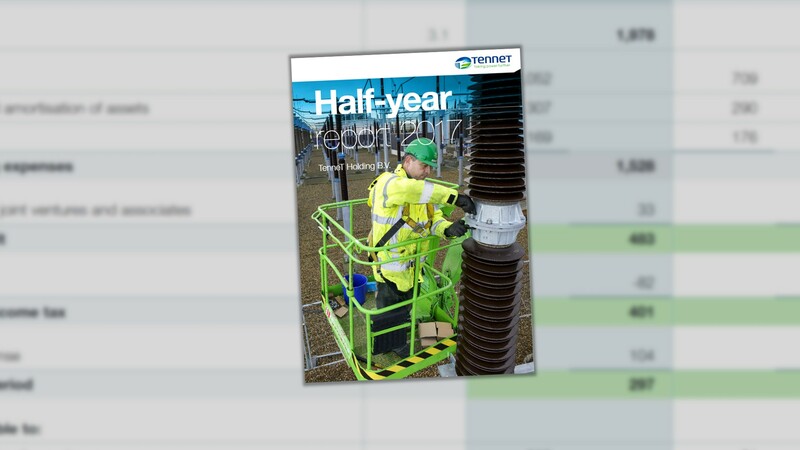 As far as TenneT’s operating results in the first half of 2017 are concerned, the TSO reports satisfactory figures, with profits before interests and taxes growing to €478m. Infrastructural investments in the Netherlands and Germany remained on a high level since large-scale grid extension projects, on- and offshore, are being implemented continuously. To help financing these investments in the transmission of the renewables, TenneT has yet again succesfully issued long term green bonds with a nominal total value of €2bn in March and June respectively. The NordLink submarine cable is a key project for the European market integration and energy transition. It will be the first interconnection between Germany and Norway across the North Sea, thus coupling Norwegian hydropower capacities with German wind and solar energy: A true “green link”. NordLink is a joint venture of DC Nordseekabel GmbH & Co. KG and the Norwegian transmission system operator (TSO) Statnett. DC Nordseekabel GmbH & Co. KG is equally owned by TSC member TenneT, the Dutch-German TSO, and the German promotional bank KfW. NordLink is designated as project of common interest by the European Commission. The high voltage DC line with a capacity of 1,400MW and a total length of 624km is capable of providing renewable energy for more than 3.6m households in Germany. Being aware of the high significance of NordLink for the European energy infrastructure, the European Investment Bank (EIB) has granted a loan of €350m to TenneT Holding B.V. Ambroise Fayolle, Vice President of the EIB, gives reason for EIB’s commitment to a sustainable energy market: “Forward-looking investments in modern energy infrastructure are the key to reach our ambitious climate goals.” Concerning NordLink, Mr. Fayolle adds that security of electricity supply and effective use of renewable energy would be improved significantly by the important interconnection project.